Located in the South East of England at the meeting point of the four counties of East Sussex, Kent, Surrey and West Sussex. Charity Concert in aid of Town mayor's Charities. 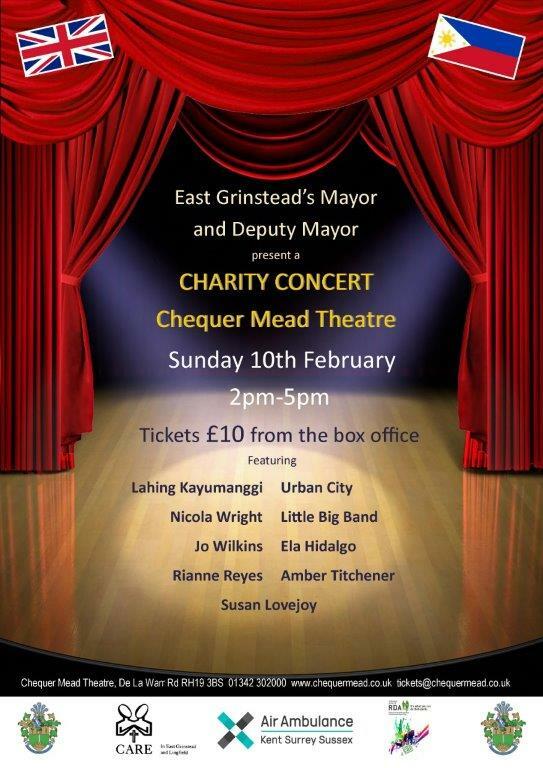 East Grinstead Town Mayor, Cllr Rex Whittaker and his deputy, Cllr Danny Favor present a charity concert at Chequer Mead Theatre.